Michael Casey is a high ranking instructor in Wing Tzun and Escrima. He is sought after as a teacher for seminars nationwide. He also has students from all over the U.S. that travel to California to train with him. Prior to training and teaching Wing Tzun he trained in Tae-Kwon-Do and Kick-Boxing. He won a National Championship in Full-Contact Kick-Boxing in Germany. He now dedicates his time to training in Wing Tzun and Escrima. 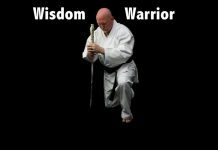 Sifu Michael likes the traditional aspects of training, but also emphasizes the modern aspects of training, such as self defense and defense against attacks from all different styles and fitness. He currently holds the 3rd Technician level in Escrima and the 4th Technician Level in Wing Tzun. (Technician levels are comparable to black belts in other styles.) His goal is to teach the classes in a fun and safe environment and at the same time help the students maximize their potential in skill as well as in fitness. Sifu Michael Casey believes in a healthy lifestyle including diet and fitness and he practices what he preaches, including continuing to develop his skills as a martial artists. Martial Arts Enterprises (MAE, Inc.) is All About Martial Arts and develops websites to promote martial arts and martial artists around the world. A few of those sites include USAdojo.com, MartialArtsEntertainment.com, FightCon.com, UniversityMartialArts.com, MartialArtsSchoolsDirectory.com, and more. 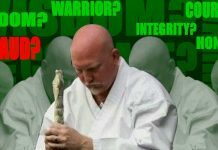 For Martial Arts Instructor Peter Grootenhuis, Quitting is Not an Option!